“I want cushion, I want protection, and I want a shoe to feel responsive. Under Armour takes athlete feedback very seriously and then implements it into their shoes. 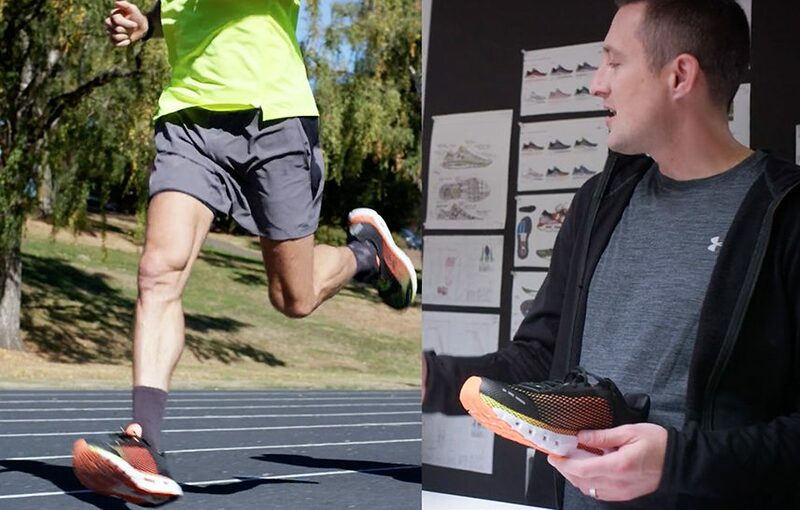 They sit down with runners and find out what they need in a running shoe. 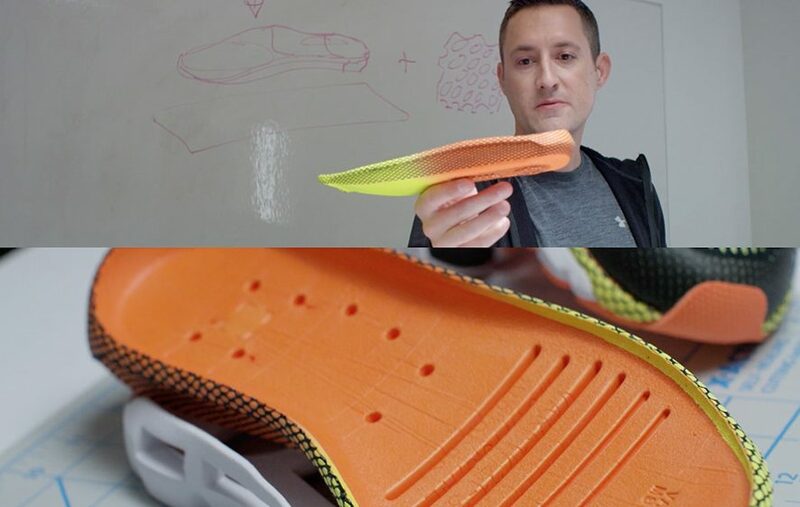 When designing the UA HOVR Infinite, UA wanted to understand how athletes fundamentally move and defined the physical to produce a shoe that provides a plush cushioning experience. The other part of the HOVR shoe formulary that they designed is the energy web. The purpose of the textile is to contain all of the energy that comes into the soft cushion core for a smooth ride with the right amount of cushioning and bounce. The mission behind creating HOVR was to attack gravity. The shoes are built to perform over hundreds of miles. And that’s what the HOVR wrapped core — the magic element — gives to the runner. 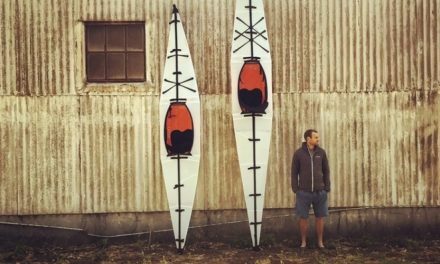 The energy web gets wrapped around and you end up with the two coming together. In the heel UA placed durable rubber for a smooth transition with massive flex groups. The process started with the biomet team who gave the designers the insights into gender specific differences between a female foot and a male foot. In the end UA built the best solution for the foot which starts with a sock liner, adjusted collar dimensions, adjusted vamp dimensions, and fine tuned the pattern to adjust for better heel fit. Runners are data-driven. The HOVR has a built-in chip in the right foot, and the chip is powered for the life of the shoe. The technology allows UA to go really deep so they can start to look at the athletes cadence, stride length and that will manifest in better pace, more control, and energy dissipation. The shoe allows you to run with the connected experience with your phone on you or it allows you to leave your phone at home. It turns on and connects with your MapMyRun app and allows UA to actually put programs into the chip that are much more customized and personalized to each athletes run. The HOVR Infinite has been well-received, and for 2019 Under Armour is expanding the concept with a full suite of performance running shoes. The 2019 HOVR Collection offers a footwear solution for every kind of runner. From speed-oriented runners looking for lightweight, tempo shoe to the runner who needs stability and injury prevention. 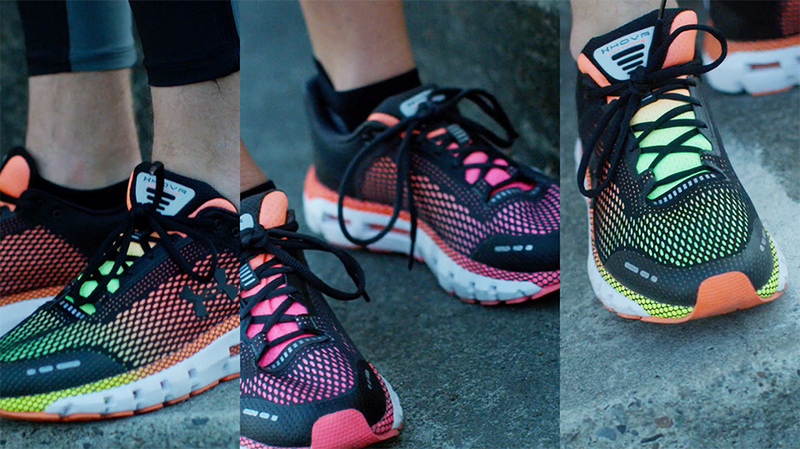 Every shoe in the 5-piece collection will be digitally connected, allowing the runner to connect their shoe to the MapMyRun app. 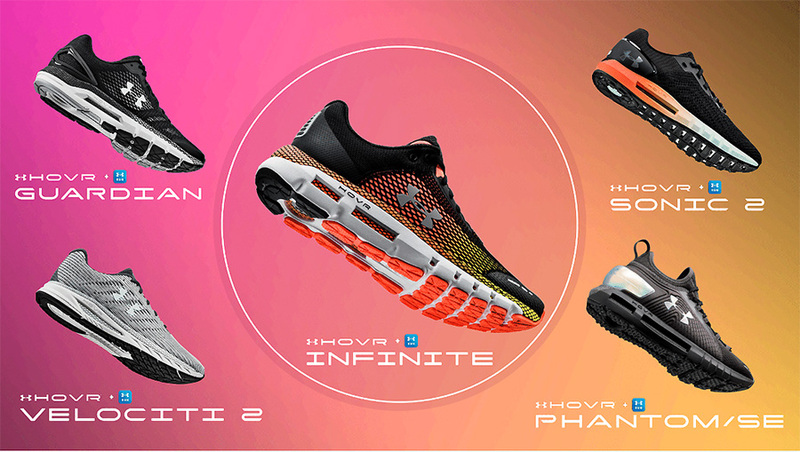 The neutral cushion UA HOVR Infinite is the foundation and anchor of the UA HOVR Run footwear suite. The shoes in the collection, shown below, are Infinite, Guardian, Velociti 2, Sonic 2 and Phantom SE.